Life changing Motivation | increasing Sales | Business Growth. Motivation is life changing. Your life is changing every day. It is either changing for the better or it is slowly changing for the worse. On this page I would like to share a few things that worked for me, in case you’re considering changing your life. Maybe you want to quit your job and start a business, or start an organization that will change the world in some way. Maybe you want to change your eating and fitness habits and become healthy. Maybe you want to finally start creating that art, that book, that blog that you’ve been meaning to start someday. That someday is today. Every day I come across different people having different personalities, opinions and ideas. One important aspect which I have gauged from years of my experience with different businessmen is that each person is cribbing that competition in market has increased. Be it a small businessman running a small grocery store or a big businessman running a big mall, each and every person attribute that competition is eating away their business. They forget that they need to find out their competitive advantage, i.e. what they have different with them which their competitor may not possess. That competitive advantage has to be taken benefit of. A question which every person in his or her astrological consultation with regard to business asks is how to get more and more customers for buying their product or service. In this post I am sharing my experience by giving you some tips through which you can increase sales of your product or service. My objective with these tips is to ensure that all people connected with our centre become wealthy and successful. An important point to remember is that people buy products for their results or for the attributes of product or service. You should know “what are the benefits of your product or service to the customer”? Make a list of such benefits so that you can ensure that they are present in the product or service being offered. These then can be used in marketing campaigns also. Every person doing business should make a profile of his or her customers. For example you can seek answers to questions like what is the age of customers buying your product or service? What is their purchasing power? Are they educated and well informed? For whom they are buying product? Do they want customized products or services? These things will help you in getting a clear idea of your customers and then you can target them efficiently and will be able to price your products or services also looking at these aspects. Tip Number 3 – What is your competitive advantage or how you can develop it? This is an important area because if you have some competitive advantage, then you will be able to outperform the competitors. For example, you are offering same product which an MNC is offering but at a lower rate, then it is your competitive advantage. This will attract customers to your store. Always focus on giving customers a higher value proposition. This will motivate them to stay with you only. Remember customers always look at their own benefit and till the time you are giving those benefits, they will stay with you and be loyal to you and once they find a good alternative better than your product or service, they will shift their loyalty. So develop your competitive advantage and be ahead in competition. Today social media like Facebook, Twitter, personal blogs, Instagram, Whatsapp have become popular. You can use these to your advantage. You can build relationships with your customers. The advantage of social media is that first of all it is free and secondly you get an option to make good lead and pitch for your product or service to customers. If they find something unique in your product or service, they will definitely avail your services or buy your products. You can reach out to your potential customers either by calling them on phone, connecting with them through social media or even through visiting their offices. Relationship which you build at this place will go a long way in getting future orders but I would caution you not to overdo it. For example, you want to sell a vaccum cleaner and make a pitch to potential customer and in your over enthusiasm you contact him several times thus irritating the customer and eventually when he decides to buy vaccum cleaner, he buys from someone else. So you have to fix a dividing line between reaching out to a potential customer by building relationship as compared to over enthusiasm in contacting him again and again. This is the most important area for increasing your sales as it implies revenue for you while it is a cost for the customer. Generally customers are price sensitive and if you are able to fix up right price for the product or service offered, you will be able to close the deal. People ask him how to fix the price. The simple answer is that first of all you need to consider your costs and once you consider them, do a market research to find out what competitors are charging. Remember if you charge a high price, the perceived value of your product would increase. So check whether you are offering truly a better service or product quality. If you are able to price the product slightly at a lower price than that available in market by other competitors, you will be able to drastically increase your sales. You can work for measures to reduce cost of production so that you can offer products at slightly lower price. I give you an example for it. The area in which I am living in New Delhi has many dairies selling polypack milk along with other dairy items. There is one dairy which is doing brisk business as compared to other dairies although the product range is similar. I researched for the reason of his increasing sales. I found out that he is giving a discount of Rs. 1 on 1 litre polypack milk of any brand. This is the margin of the retailer on selling one litre milk but he is parting with it. The secret lies in initiating higher footfall at the dairy by customers who wants to save Rs. 2 to Rs. 3 per day depending on their purchase quantity but when they visit that dairy they also buy other items like cheese, bread, ghee, curd etc and they pay normal price on purchasing those commodities thus leading to increase in his sales and hence profit margin. You can think of any other pricing initiative which will help you in creating word of mouth publicity for your product or service. When you go for striking a business deal, do not go with negative attitude. Look for the “win win” situation where both parties may achieve satisfaction. A good negotiator is one who has positive attitude, has the ability to ask right questions to know client requirements and above all he should be patient and well prepared to answer queries. When you visit your client or you have a store where people visit for buying goods, and then make an effective presentation to them. For clients you can make use of PowerPoint slides to explain your product or service and for visitors in your store, you should make proper assortment in retail store where the customer can see available items. It would be better if you have a catalogue ready for giving an idea of product or service being offered. In my experience, I have found that long term relationships with customers help you not only in getting repeat business but referrals also. Pareto 80/20 rule also say that 20% of your customers are responsible for your 80% revenue. So concentrate on existing customers and the process of sale should not end with sale itself rather focus on getting customer feedback, address his or her complaints and hence achieve value addition. It is possible that your potential customer would go in for buying product from you only if you give an opportunity to try something of your product or service at free. For example, you can shoot a short video about your product and show them to customers to know how it is functioning. You can create excitement among them by giving a free sample. For example, you are selling protein powders and you offer them a small trial pack for free to induce them to go for higher quantity by purchasing from you. You need to show them how you are different. For example, you are selling protein powder and you know that many fake sellers are operating in the grey market and if your product is genuine, you can tell your customers that it comes with importer seal and proper bill so that you get what you want. This will also help you in differentiating your product offering from that of competitors. You can use sales promotions by offering off season discount or sales or you may offer some services at lower cost to induce customers to buy your product or service. Remember that your product or service should be a good one so that you are able to win their trust and at the same time motivate them to refer you to others also. The key lies in offering genuine and good quality product offerings. There are some people who tend to push their sales by promising wrong attributes of product. They may become successful initially in increasing their sales but in the long run; they would not be able to generate repeat business. You can inform your customers about future sales at lower rates to induce them to buy higher quantity also. There are many companies like Amazon, FlipKart etc who announce some days before the actual sale about the event to create a buzz among customers about their products. Here the need for you is to create a clear sales message. This could be done by thinking of two three benefits of your product and highlight them in your sales headline. For example, you are offering lower prices of jeans, readymade garments and related stuff, and then you can make a title like “Branded Jeans at unbelievable price” or “Jeans at prices never bought before” etc. Be specific and highlight two three attributes so that customer can know your message. I have tried to cover most important things that would definitely help you in achieving higher sales. The techniques I have discussed are tried and tested one on many cases and results are awesome. You also make a note of them and “Achieve what you want”. The idea of writing this motivational article came to my mind when I saw many of the persons who want to start their own business venture fails in their venture because they do not have confidence in their own ability. They do not learn from their failures. Remember the ladder which brings you from top to bottom can help you in going upwards also. I was reading a motivational quote which I want to share with you also. The quote says “Sometimes the harder you fall the stronger you rise.” The important point is that you should have the desire to stand up again and fight till you win. The difference between successful people and failure lies in the fact that successful people do not put blame on circumstances, rather they use adverse circumstances to their favor by reforming themselves to the circumstances. Failures are those who surrender without fighting the war. In this post, I am sharing with you an inspirational story of P.C. Mustafa who is the founder of ID Fresh Company. This is the story of a 42-year-old man from a remote village in Kerala. His father was a coolie. His mother never went to school. This is the story of a man who failed in Class 6, but went on to join the Regional Engineering College (now the National Institute of Technology), Calicut and the Indian Institute of Management-Bangalore. This is the story of a man who decided to become an entrepreneur and employ people from rural India. Today, fresh idli and dosa batter made by his company ID Fresh reaches homes in Bengaluru, Chennai, Pune, Mumbai, Delhi, Hyderabad, Mangaluru and even Dubai. The financial condition of P C Mustafa was not good. His father was a coolie who wanted that he should work as a daily wage laborer in Kerala. He has no interest in studies and flunked in Class 6. His father asked him to work while his teacher motivated him to study as he believed that he is good in mathematics. He asked for one year and gave his best to studies excelling in Class. He continued this performance in later classes also. 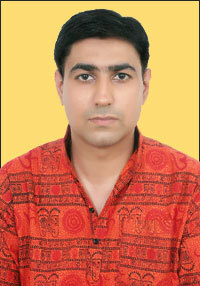 He soon went to Calicut by clearing entrance examination in engineering from National Institute of Technology. Got scholarship and took some loan for studies. Got offer from Motorola and went to Ireland. There he missed home food and an idea relating to doing some kind of food business came to his mind. Got an offer from Citibank and moved to Dubai. Built house for parents, repaid loan and then came back to India in 2003. At this time in 2003, he decided to pursue MBA and leave job for his own business. Decided to invest in Idli dosa batter business with his cousins and soon the business got a good start. Completed MBA from IIM in 2007 and expanded capacity of Idli Dosa Company. Invested another Rs 40 lakh and bought a 2,500 sq ft shed in an Industrial Area and imported five large wet grinders from America and customized them to fit their requirements. In 2008, company added parathas to their list of products. In 2012, company expanded to other cities like Chennai, Mangaluru, Mumbai, Pune and Hyderabad and in 2013 entered Dubai market. In 2015, the revenue earned was Rs. 100 crores. The company will expand in coming time period further. The point I would like to emphasize with the success story of Mustafa is that learn from your failures. Failure is not opposite to success rather it is a part and parcel of success. Bill Gates in one of his quotes said that it is fine to celebrate success but it is more important to heed the lessons of failure. Do not let failures or negative thoughts came in your mind. Go for your passion. Discover an area in which you are good and invest your full resources in it. I will close this post with the words of P.C. Mustafa where he says that if you have the passion to start something, do it immediately. Do not wait for tomorrow. Are you at risk of losing your job? Warning signs that your job is in danger and what can you do about it? The idea to write this article came when I analyzed that increasing competition in the market; cost cutting efforts of the companies, increasing automation have resulted in loss of jobs of many employees and especially those whose work is of repetitive or routine nature. There used to be a time when people could think of joining a company and retiring from the same company whether it is a government organization or private company. They have to just manage two things, performance on the job and relationship with boss. But now circumstances have changed. Increasing automation, pressure on performance, increasing competition and workplace politics has resulted in job insecurity for many people. In this post, I am sharing some of the warning signs you must look into to find out whether your job is in danger. It will also help you in chalking out a plan of action to overcome the situation. Please note one thing that jobs which are of repetitive nature are going to be cut down. With the advancement in technology, the work of humans would be replaced by machines but if you have some creative skills or you are able to find out creative and unique application of your skills, your job is safe or instead it is also possible that you are able to gain good opportunity from this technological advancement to progress. An important point I would like to emphasize is that you have to get rid of mentality of having a permanent job that used to be the case with government organizations. Now only the best employee would be able to survive and for delivering your best, you need to continuously evolve yourself. So take care of some of warning signs I am sharing with you showing that your job may be in danger and you should think of an alternative plan beforehand. Due to space constraint and with an intention of keeping this post short, I am not being able to cover all the danger signs showing that your job may be at risk. I will cover some of the most important signs and will also give you some tips through which you can work on improving your chances of success and take an alternative action plan. You can use the term “merger” or “acquisition” but the fact is that one company among the two companies is dominating. When this happens and the new management takes control, it is possible that you may retain your job for several months following a merger, and it may even create a certain level of complacency in you. But it will be almost certain that your job will be in jeopardy unless and until you are able to convince management about your innovativeness or how you are different from other employees. If your work is suddenly being redistributed to others, it is probably not because your boss sympathizes with your schedule and feels you are being overextended. This action could be the company way of planning ahead. They do not want to leave your clients in the dark in the weeks that follow a firing, so they are preparing by assigning your tasks to someone else. Another strong sign is when the quality of your work is being questioned on repeated occasions. Employers often build a case against an employee before terminating them. If your employer is suddenly finding fault with a lot of your work, this is a real possibility. When the axe is about to fall, managers see little advantage to having you present. One strong clue is that you begin to develop a sense that you are being excluded from what is going on in your department. All departments require a certain amount of interaction between employees in order for work to flow smoothly. If you start to notice that you are not getting certain memos and emails, that you are not being included in various meetings, or that your input is no longer being requested, you are probably a short timer on your job. The degree to which this takes place will be a good indication of how much time you have left on your job. If cost cutting is on the fringes, like eliminating the holiday party, reducing bonuses, curtailing certain employee benefits or even eliminating the coffee service, they may be in the early stages of an attempt to improve profitability. If this is the case, you will probably have several months before you are facing the threat of a job loss. If on the other hand, your employer is eliminating employees, or making substantial cuts in employee benefits, your tenure will probably be a lot shorter. There is often a temptation to believe that if you are spared in a round of cuts, that your job is safe. But if the employer’s financial situation does not turn around shortly after the layoffs, more are probably on the way. It may be only a matter of weeks before your number comes up. If the company is adapting to increasing automation, it may be a threat to those jobs which are of repetitive nature. If your work is of repetitive nature which can be done by computers or automated machines, then also there is a chance of loss of your job. For example, with the prevalence of automated delivery systems in courier services, many jobs have been lost and more will go with the passage of time. What to do about dealing with fear of losing job? Diversify your skills and add value for the company – Come out of repetitive tasks and do something creative in your work so that management may recognize that it is worthwhile to keep you in the company. Schedule a personal meeting with your boss to discuss your concerns – If you are suspicious that your job is in danger, then you can discuss with your boss your concerns and also ascertain what you can do to change the situation. If there is no positive response or the question makes him nervous, it is right time to plan for your next job or take alternative action. Improve your job performance and try to take more responsibilities – If it is possible, you should take some additional work or responsibilities in office and preferably the ones that no one else wants. This may cause your employer and your coworkers to see you in a different light. Be innovative, be creative and find out new areas of growth – It happens usually in sales jobs where the employee is not able to bring desired business and is on the risk of losing a job. In this scenario, do something different from the crowd, be innovative, try to sell your ideas more creatively and it is possible that they may work for you. Take some time for introspection – If nothing is working then spare some time for introspection and dwell on your strengths and weaknesses and find out alternative course of action. Take help of a good astrologer consultant to find out possible areas of growth and time period during which they are expected to materialize. 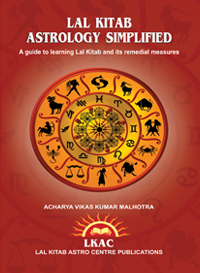 A good astrologer would not only help you by right counseling, he will also suggest to you some alternative course of action. Think over such action plan and give it some time. Motivate yourself to give your best. With the passing of time, bad phase of your life will also go away. Try not to take so much stress that it affects your health as it will increase your problems in future. When you have so many things to work for, you need good health to give your best. 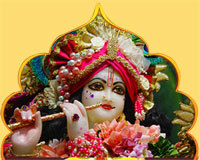 Think positive and give your best and leave rest to the God. You will definitely succeed. Many people in the world desperately want to be millionaires, and why would not they? While money may not buy happiness it can buy a better, less stressful and more fulfilled life. However, before you can be a millionaire, you need to have the right strategy and know the reasons why you have not met this goal already. The answer lies in your mindset. In my interaction with hundreds of people, I have heard all of the excuses of people about how they were not able to earn their target money & I want to list some of them for you. “I did not pick the right career,” “I cannot afford the schooling,” “If I did not have a spouse or family”, “If I had been given a chance” or “I do not have time.” These are not reasons, but just excuses and excuses only get in the way of your success. These affect your mindset and I think that you can either make money or excuses. You cannot make both money and excuses. I think “If you want to be a millionaire, you have to think like one.” Your psychology and your mindset is an important component of your success. While mentoring and giving astrological consultations to clients, it has been my personal experience that I have given advice and astrological remedies to many people. While some have been able to achieve tremendous success and prosperity while others were not able to get benefit. The reason lies in their mindset. The positive person took every advice with full faith and conduct remedy in the manner as prescribed. The attitude of negative person is always of suspicion. Such person is interested in getting remedy for his or her problem without doing any effort or activity. Positive person have the patience to wait for the results while the negative person do not have the patience or will to do any remedies. You will find that such persons of negative attitude moves from one astrologer to another getting remedies for their problem but not having the will to do remedies as prescribed to them. Now the question arises as to how to change your mindset so that you can also earn your target money. For this you will have to think like and act like a millionaire. You have to cultivate a positive frame of mind. I am sharing some of the differences between the habit of millionaires and poor people. Start imbibing the habit of rich people and you will see that money starts flowing towards you. Some haters will say that money cannot buy happiness. You see generally they are the losers who do not have the guts to put up their best efforts to earn their target money. I agree that money cannot buy happiness but it can buy freedom for you. If you have good amount of money, you will not be compelled to do a 9 to 5 job for a company where you may think you are not getting the value of your efforts. You will not have to depend on a paycheck for your survival. You can fix your own hours of work and you can do the work which is close to your heart and which you enjoy. So first of all do not think money as your enemy. Have a focused mindset. Write down your goals and the time frame in which you want to achieve them and concentrate on the following points. They will definitely help you in changing your mindset and be a millionaire. I am giving you few points from my own experience with an objective of keeping this post short and I guarantee you that if you follow these points with your full determination, you will definitely move to achieving your financial money target. Millionaires are creative. They spend time thinking about new ideas. They know ideas are the most valuable asset in the world. To become more successful, you must continually expand your mind. In the mid of changing world everyday at a fast rate, it would be wise to spend time thinking of new ways of doing things. It is not necessary that you must introduce some new product or service rather I have seen that if you are able to sell existing product popular in the market with good demand by your creativity and selling skills, you may get an edge over the other companies operating in market. If you want to be a millionaire you will have to take some risks. While an average person remains poor because he does not like to step out of his comfort zone, a millionaire thrives by comparing rewards with the risks involved in it. You will have to take calculated risks based on your intuition. The more sources of income you have, the more potential you have to rake in big paychecks. Developing multiple streams of income means letting go of a mindset that often holds the middle class back in achieving their objectives. If you work with the idea that everything has to be done by yourself, it will limit your potential. Think like a millionaire. Find someone who can do it not only well but even better and spend your time in building strategies for targeting the market. This will free you from doing a work in which you do not have required skill. Create passive sources of income so that you are able to achieve your target money as soon as possible and for a long time.